Following the increased attacked on vessels berthed at the Lagos Ports Complex (LPC), the Nigerian Ports Authority (NPA) has outlined strategies to curb such attacks. 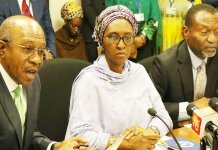 The Managing Director of the NPA, Ms Hadeza Bala-Usman who disclosed this at a quarterly stakeholders meeting in Lagos, admitted that there are challenges in the operations of the ports stressing however, that they are being looked into. Usman, who was represented by the Executive Director, Marine and Operations, Mr. Sekonte Davis said by the time some of the strategies are put in place, the NPAÂ Â would be able to identify at stakeholders perceived to be responsible for such attacks. In the meantime, stakeholders have accused foreign shipping companies operating in Nigeria of contravening federal government directive on holding bays for their empty containers. 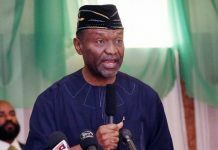 They noted that the foreign shipping lines deliberately do not have holding bays for their empty containers in order to defraud the nationâ€™s economy. Davis disclosed that more patrol boats will be purchased to enhance port waterfront patrols. The NPA boss however advised the management of ENL terminal, one of the operators that had been attacked seven times in the last one month, to look into their internal system, adding that there could be sabotage from within. Usman explained that NPA has also commenced discussions with the Port Police Command with a view to strengthening waterfront security at the ports. Some of the stakeholders who spoke at the meeting said despite letters written by NPA to the shipping firms more than six years ago, these companies bluntly refused to yield to the call. 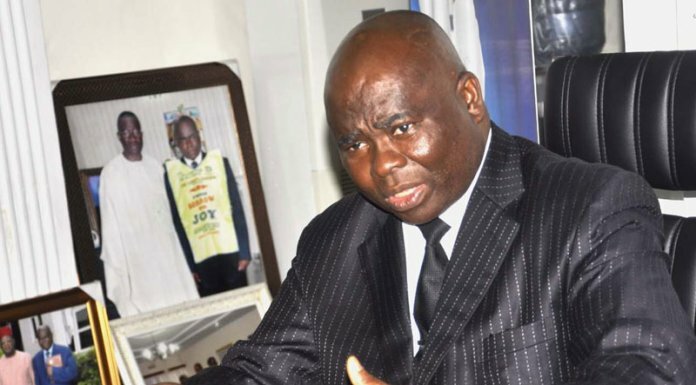 Chairman of the Tin-Can Island Chapter of the Association of Licensed Customs Agents (ANLCA), Segun Oduntan, alleged that the shipping companies have formed a cabal against the Nigerian port industry. Oduntan said alleged that there is a gang up against the issue of container holding bays and asked the management of NPA not allow itself to be subdued by this cabal. He noted that these shipping firms are just exploiting the uncoordinated port system being experienced in Nigeria. Similarly, an officer of the Nigerian Navy, in charge of the traffic management at the port access roads, Commodore Okon Eyo disclosed that more than six years ago, a letter had been written to the shipping firm to make arrangements for holding bays for their empty containers. He said that almost seven years after, no shipping firm has constructed holding bay for this purpose. Eyo who gave an overview of the causes of the traffic gridlock in Apapa area of Lagos suggested that if the issue of holding bays for empty containers was not resolved, the traffic situation in the port area will linger for a long time. Responding, Bala-Usman said shipping companies are meeting up with the agencyâ€™s speed of operations adding that the NPA will not be deterred in the discharge of its duties. 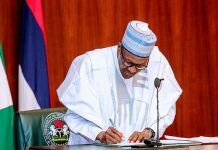 â€œWe are giving them time to develop, their rate of development is not at a pace we anticipate, after much engagement, they have to do what is needful and everybody is now aware I believe that will spur them up to take the necessary action. We donâ€™t want to give ultimatum but we want to give them opportunity to do it, we will quicken them in that regard, â€œshe said.